Susanne began volunteering in Namibia for the Cheetah Conservation Fund (CCF) in 1997. A passion for Africa, the cheetah, conservation, and helping children was born! While fundraising for CCF in the United States, Susanne was introduced to Wildlife Safari and their mission to heighten wildlife awareness. Located in Roseburg, Oregon, Wildlife Safari has education, preservation, research and cheetah-breeding programs. Together, Susanne and Wildlife Safari teamed up to take a live cheetah to dozens of schools throughout western Washington teaching thousands of students about endangered animals and the need for environmental protection. Passionate about her work with the cheetah, Susanne joined a CCF Kenya project in 2001 as a volunteer coordinator organizing a new compound for education and base for essential game counts. On a trip to Kenya the following year (2002), Susanne was introduced to 30 primary-school children in need of help to pay for school. She agreed to personally sponsor the children's tuition and uniform fees. It quickly became apparent that more guidance and aid was necessary in order to keep each student in school. The need for school supplies, books, transportation, and even food had to be addressed on an individual basis. As 30 students turned into 40 and then grew to 50, Susanne began to bring on friends and family members in the United States as sponsors. These new sponsors helped to pay for school fees and meet the needs of each growing child. Donations of clothing (socks, underwear, shoes), school supplies, and backpacks were required to help the rapidly growing project. These connections between communities in Kenya and the United States would lay the groundwork for what would become Wana Duma Children's Project. Wana Duma means “cheetah children” in Swahili - a nod to the beautiful endangered species that brought Susanne to Kenya in the first place. Although Susanne spent months at a time each year working with the project in Kenya, she found she was missed during her absences and more help was needed to address the children’s specific changing daily circumstances. Susan Nyambura was the perfect addition to strengthen the project in Kenya and help it continue to grow in Susanne's absence. In 2008 the effort was officially named Wana Duma Children’s Project and granted 501 (c)3 non-profit status in the United States. The project has grown to include 5 full and part-time employees in Kenya, a volunteer board of five members, and a director in the United States. Susanne is now able to spend the majority of the year in the field with the project she loves. The list of sponsors, donors and volunteers has expanded rapidly. The additional support has allowed Wana Duma to grow leaps and bounds! We currently have just under 100 children in the program with 14 graduates. Susan Nyambura was born and raised in Kenya and Uganda. She is a talented communicator and has a gift for languages. 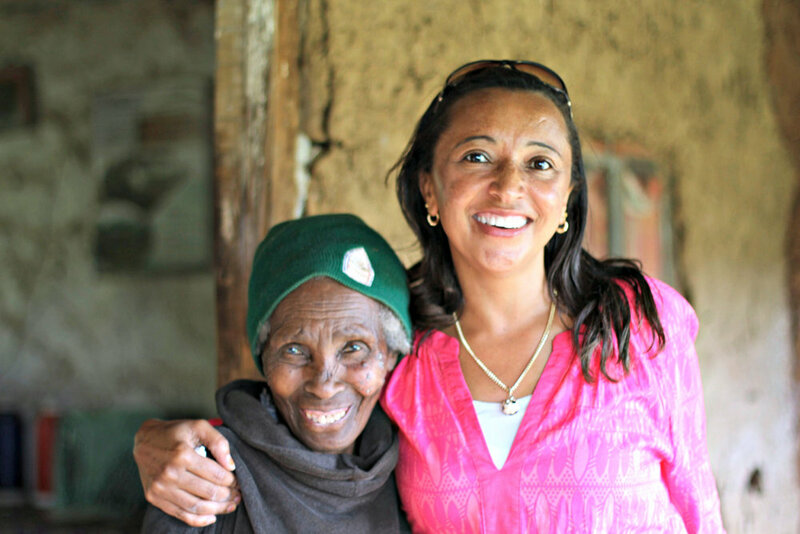 Susan speaks seven languages in all – English, Swahili and five tribal dialects! Susan is a vital link to our children and the people we serve. Orphaned at 19, Susan was left to raise three younger sisters on her own. She lost her youngest sister to the AIDS epidemic as it swept through East Africa. Susan is no stranger to the devastation AIDS has brought to families in Kenya. In addition to her own two daughters, Susan is also raising her niece. Her ability to connect with families in crisis and students in need is exactly what makes Susan so special. Susan brings understanding and compassion to the children, grandmothers, HIV+ mothers and all who have known times of struggle. Wana Duma is fortunate to have Susan's warm heart, gentle spirit, business sense, quick wit and easy laugh. She is a blessing to this project and all who know her. Before joining Wana Duma Children's Project, Becca spent 10 years teaching kindergarten, 1st and 2nd grade, as well as, providing professional development opportunities for adults. Passionate about education and the doors it opens, Becca is committed to the mission of Wana Duma Children's Project. Paul started work as a mechanic in a petrol station and worked his way up to Foreman. He then got the opportunity to drive long haul bus trips all across Kenya for 15 years before eventually moving into long haul trucking for an additional 10 years. Before coming to WDCP he worked with the Chinese building roads in Kenya. He was in charge of all the construction vehicles and drivers. His knowledge of trucks, roads and traffic has been a huge benefit to not only overseeing our projects but also to our safety as he also serves as our driver. His patience is endless as he deals with crazy Kenya driving (AND all of us women!!). Paul is also one of 12 children. His calm demeanor and strong work ethic is a great example for our kids, many of whom do not have a strong male role model in their life.